We asked, and the good people of Boise delivered! 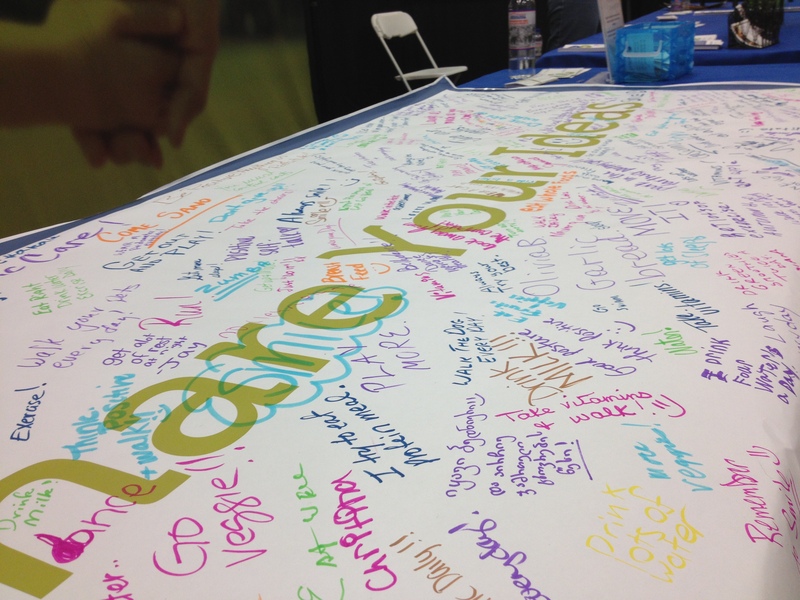 Last week, we posted up at the FitOne Expo at the Boise Center, and we asked people to share their ideas for living a healthy life. For every idea we received, we pledged to donate $1 to one of our favorite charities, Veggie U. Since we sponsor schools in the Boise area, people who contributed ideas were directly supporting kids in their community. Turns out, people in Boise are full of great ideas, and they aren’t afraid to share them! As you can see by our Healthy Ideas Banner (which looked like a beautiful mess by the end of the expo), we had a flood of awesome ideas! Not only did we enjoy reading through them, but we loved the conversations that started as people jotted them down. Over the two day expo, we kept a count of how many people contributed to the board. After it was all said and done, we ended up with 646 ideas! Meaning, we’re going to cut a check to Veggie U for $646. Way to go Boise! A huge thanks to our pals at FitOne for putting on such an incredible event. And, an even bigger thank you to everyone who took part in the expo and/or FitOne Race. We had a great time at both, and the turn out from the Boise community was phenomenal. What a fun event, I had a great time getting to know our members here in Boise. Its great to hear how much they love our Company! Great team work everyone!